Of all sports involving lesser amounts of physical exertion, golf has to be one of the most cerebral. One thing’s for sure, concentration is one of the most important aspects of making it to the level of a professional player. Tiger Woods, Jack Nicklaus and the other greats are renowned for various special skills, like being able to pitch at impressively long distances. Of course, they are legends in their own right, but it’s still technique and the practice of it which won them trophies. They have the skills to show for it, and they earned them with the ability to first focus on their short game. For a lot of casual players and even PGA professionals themselves, making a putt has to be the hardest and most technical aspect of the sport. A great deal of consideration has to be placed on analyzing the environment and fine-tuning the technique. Perfecting your short game takes a great deal of time and practice. Making a clean putt is possible if you have the composure for it. After all, you’re not in control of the ball, but you’re in control of the force and direction that guide it towards the hole. In this case, you have full control of your arms, and it’s only a matter of using the whole length of your limbs for maximum precision. You can use your arms like this for maximum control: The force should originate from your biceps and move down to your wrists, allowing you better control of the ball. You can also further optimize your technique by reducing wrist action, which usually introduces either too little or too much power if not controlled. On a technical note, the option of a club is critical to your short game. You should be able to find the right tools that improve your efficiency. Selecting the right putter for the job should take you some time and thought, since the choice of material will your performance on the green. Let’s start with the head. Usually, you have the choice between blade or mallet heads. 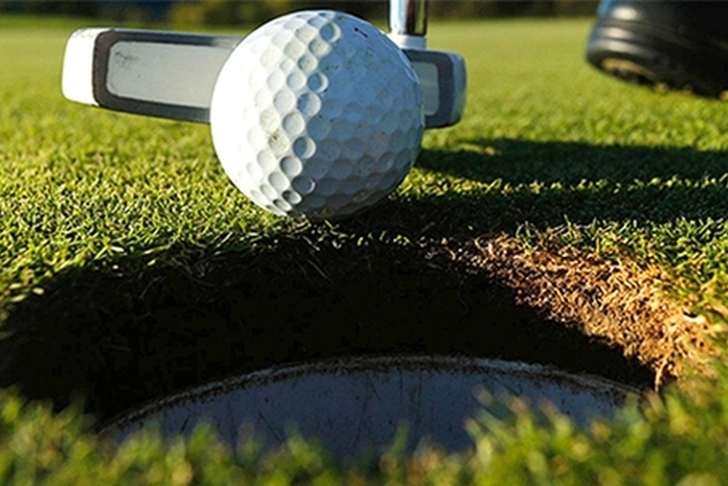 Although the former remains to be a staple for many seasoned professionals, mallet putters are gaining widespread attraction, especially among casual players. If you want to perfect your technique, improve your accuracy, and enhance your control on the green, you would want to start out with mallets first before transitioning to blades. For best results, you will need to install the right shafts. As a beginner, you should aim for shafts that provide optimal grip until you are more precise. With a little searching, you can find models that put a focus on grip. Mitsubishi Graphite Golf Shafts are one model that was designed around optimum grip, but you should be able to find plenty more in your area. Ask the staff at your local golf store for recommendations. Now, let’s go back to enhancing your technique. A solid putt should also come with the right posture. It’s essential to assume a position that allows for better stability at any range. Remember, to square your shoulders and set your arms in a “V” position. As you swing back, let your body turn slightly with the direction of the club. Bring the club’s head down and bend your back knee slightly as your body rotates towards the direction that you’re aiming for. Master this sequence and you’ve mastered the short game.